Friendly Fronts (http://www.friendlyfronts.com) is a nationwide movement, sprouted in St. Paul, MN, that provides people with a step-by-step process and support system to transform their front yards into places that make them and their community feel alive. The movement is transforming the most ubiquitous and underutilized space in America - the front yard - from empty expanses of grass into dynamic places that are loved, used, and facilitate relationships between neighbors. By creating more inviting front yards (and boulevards, stoops, etc. ), people will spend more time in them and in turn build more and deeper relationships with their neighbors and neighborhood. 91% plan on continuing to make socially-focused improvements to their front yards in future years. 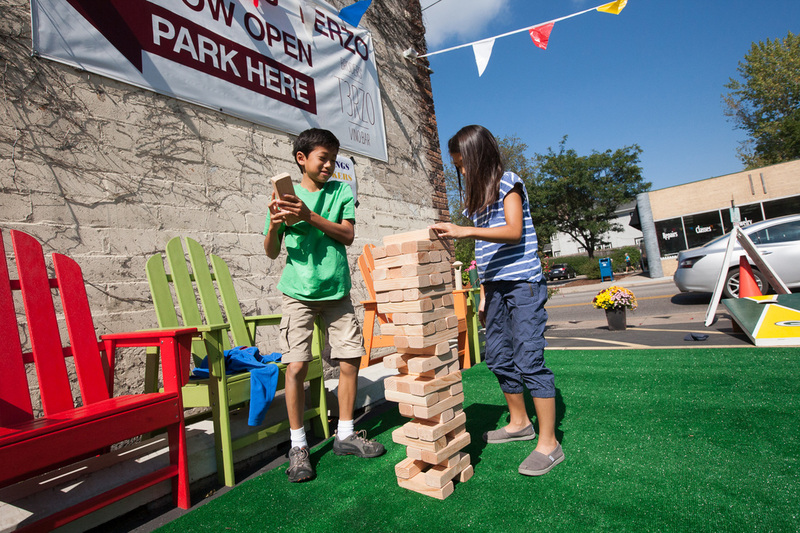 Sign Up to Try the Friendly Fronts Placemaking Toolkit! Transform your lawn into a center of community, connection, and invitation this summer! Help us test and refine our Front Lawn Placemaking Toolkit by signing up to receive a copy by signing up for our mailing list below.